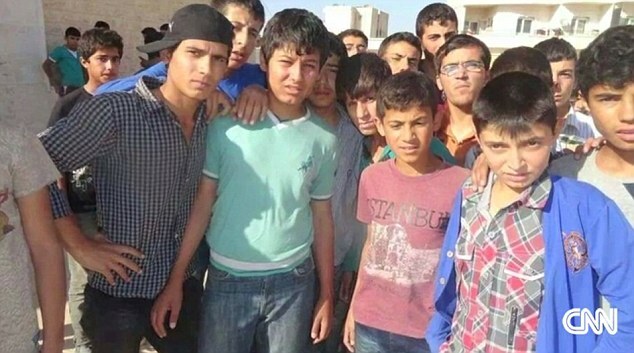 ISIS terrorists kidnapped 140 Kurdish school boys in Syria recently to groom as suicide bombers. Militants with black masks stand by as 15-year-old Mohammed watches a video of fighters cutting off a man’s head. 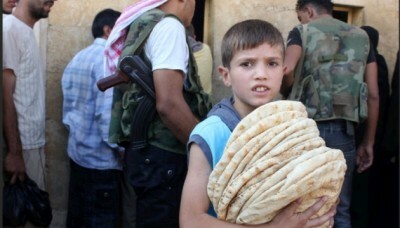 Armed fighters in pickup trucks on May 29 stopped buses driving children back to their hometown of Ayn al-Arab from their junior high final exams in Aleppo. “How can you sit with the girls? It is forbidden!” the men, many with foreign accents, yelled as they separated the female students and took only the boys. 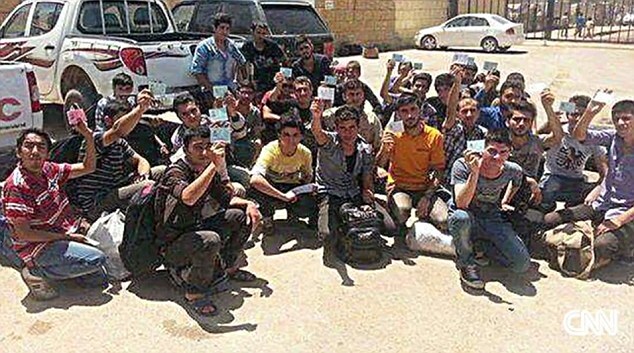 The convoy of fighters then forcibly escorted the all-male group to the ISIS-controlled city of Manbij in northern Syria, Mohammed told CNN.